You're in for a treat on your beach holiday to Porto de Galinha. Widely judged by numerous travel magazines to have the best beach in Brazil, the resort town is blessed with soft sands, bright waters, and distinctive natural rock pools that attract countless tourists to its shores every year. In high season (December through February), the town lazes by day and bustles by night, as its streets fill with loud music and dancing. 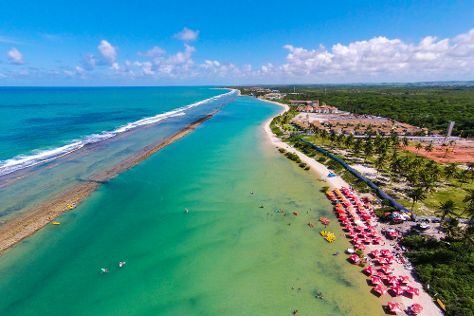 Getting to Porto de Galinha is a breeze, with Recife's airport only 60 km (37.3 mi) away and plenty of bus connections between the two. Porto de Galinhas is in Ipojuca. Use our custom trip planner: Porto de Galinhas and all its delights await.